Your First Bodybuilding Competition: What To Expect The Last 24 Hours! You've worked for months for this day. And if you haven't been working for it - guess what, you're fat @ss is going to show it onstage. Here's a simple guide for success your first time on stage! Shave the night before to relieve some of the contest day stress. There is no such thing as arriving to early for prejudging. Hit the pump-up room to keep your muscles looking good for the show. Here it is - the day of reckoning if you will. You&apos;ve worked for months, maybe even years for this day. And if you haven&apos;t been working for it - guess what, you&apos;re fat @ss is going to show it onstage in front of hundreds of people. In reality the day of the competition really begins the night before prejudging. Telling you the importance of getting a goodnight sleep at this point is like telling you to stand up and take your hat off during the national anthem - you should already know this. That being said - never underestimate the nerves factor. The NGA Boise Northwest Natural. [ Click here to learn more. ] My First Contest! First-timers contest prep - Hopefully, my try it and hope for the best approach will take the guesswork out of your own preparation. The list of things you&apos;ll likely have running through your head is long so allow yourself a couple extra hours of rest to process everything you&apos;ve been through to get to this point and what you&apos;re about to do now that you&apos;re here. Before you put your head on the pillow for the night though consider shaving. 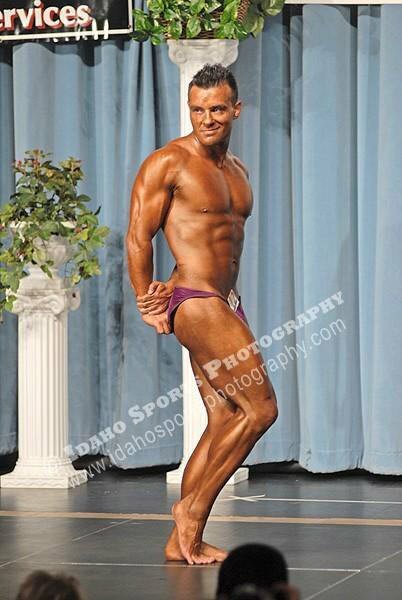 Nobody wants to be the guy onstage who has tiny hairs popping out of his posing trunks at inappropriate times. The day ahead of you is already ridiculously long and grueling so don&apos;t try getting up early to shave when you have nerves, time and sleepiness working against you with a razor in your hand. Packing a bag the night before is also a huge time saver and stress reliever. The last thing you want to be doing before heading out the door is frantically running around your house looking for paperwork. Posing trunks, music for your routine, tanning application, contest paperwork, food and towels should be staples of your day-bag along with anything else you feel you need to be successful. So make like Santa with a list of everything you&apos;ll need and check it twice the night before to ensure you&apos;re set for the big day. Need help deciding which color is best for you? Check out our Contest Grooming page for expert advice from which color posing suit to how to get the perfect tan. There is no such thing as arriving to early for prejudging. If you haven&apos;t already painted you&apos;ll want to give yourself time for this, time for the registration process and time to just get comfortable with the setting and how the show will run. Upon arriving at the contest site you&apos;ll likely run into a long line of competitors waiting for their turn to check in. Don&apos;t let mass of humanity psyche you out - remember there are several different weight classes and categories of competitors and until you&apos;re onstage theres really no way to tell whose in your class. How Early Do You Plan To Arrive For Prejudging? Bottom line - don&apos;t worry about the guy next to you, all you can control is yourself and there are no points awarded for looking good when your checking in or at the competitors meeting. The only thing that matters is how you look on stage. Find the order of events and pace yourself for where your class falls. Their will likely be a pump-up room with weights and equipment to get you looking your best before heading out onto the stage for prejudging. Timing is crucial here, as you don&apos;t want to get ready to soon and risk losing your vascularity or workout too hard before heading onto stage. On the flip side, if you don&apos;t give yourself enough time you run the risk of looking flat in front of the judges. [ Click here to learn more. ] Competition Tips! I sit in amazement at some of the comments and questions I get from bodybuilders after each contest! The trick is finding the sweet spot for you and it&apos;s always better to error on the side of caution by giving yourself too much time because you can always slow down what you&apos;re doing to pump up. You&apos;ll likely have a few moments with your competitors before going on stage for the first time. Be sure you&apos;re in the right spot and that the judges can see your number on your posing trunks easily. Finally, take a couple deep breaths before walking on stage looking your best. The lights are on bright... so have fun! You&apos;ve worked too hard not to enjoy this.